[V1] Having trouble getting signed in? 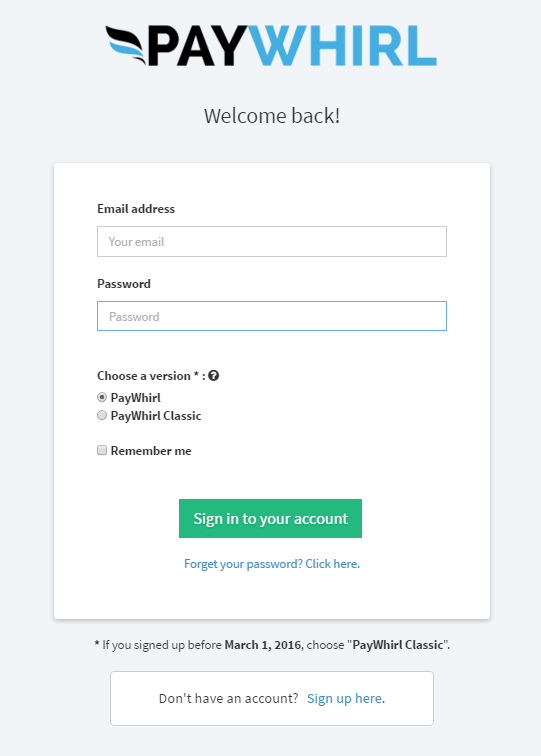 Type your email and password for the original and click the PayWhirl Classic version. Need to reset your password for the classic/original version, click here. Manual link to classic/original version.